Superman. Mr 360. ABD. Or simply AB de Villiers. Call him what you want but nobody can make the world stop what they’re doing except for one man. And that is Abraham Benjamin de Villiers! He’s one of the few players who makes batting look ridiculously easy irrespective of the format. He could bat all day and night to save a Test match for his country like his life depended on it. He could bat like a freak, smashing the bowlers all around the park and notching up the fastest century and half-century records for fun. He could lead the side when required. He could don the gloves if the need arose. He could fly around in the field to save boundaries and take catches. Well, he could also turn his arm over to bowl an over or two. Reiterating my point, there is not one thing that de Villiers could not do on the field. However, nothing lasts forever and international cricket also had a limited piece of AB de Villiers. The man took the world by surprise last year in May when he announced his retirement from international cricket. He had just returned to Test cricket and had a couple of fabulous Test series against India and Australia. De Villiers had turned Test matches around almost single-handedly in those series. In fact, he had also taken a couple of superhuman catches in the IPL. He seemed to be in the zone with the bat in hand, playing a few blinders in the IPL. The brilliance of de Villiers led former India opener and commentator Aakash Chopra to demand a DNA Test of de Villiers. Such was the aura of the Proteas star. But de Villiers felt it was time to go and he bid adieu to international cricket. However, he had a fine career. They say birthdays are a good time to look back and reflect on the things you’ve done and accomplished in the past. As AB de Villiers turns 35 today, instead of wanting more of him, let’s just applaud the man for what he’s done and for the entertainment he’s provided for all these years. The journey started all the way back in 2004 when a 20-year-old baby-faced batter was fast-tracked into the Test team. Since then, his evolution has been simply remarkable to watch. As he gained experience, he just became bolder, wiser and better. Be it Test cricket, ODI cricket or T20 cricket, he was always on top of his game. There are very few who could - and who can - dominate the bowlers like de Villiers. The legend of the man lies in the fact that he could tailor his batting to the situation. On a bright sunny day at the Bullring (Wanderers) in Johannesburg, he smashed the Windies bowlers to pieces as he notched up the fastest-ever ODI hundred (off a mere 31 balls). Those 44 deliveries seemed like hell for the West Indian side as de Villiers racked up 144 in absolutely no time. This was in January 2015. Rewind a couple of years or fast forward 11 months, de Villiers would play the complete opposite innings. 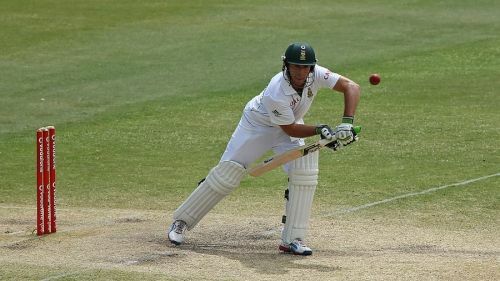 In Adelaide in November 2012, he batted for 220 deliveries, scoring a mere 33 runs, helping the Proteas save a Test match. In December 2015, he played 297 balls for his 44 in Delhi trying to save a Test match (which he couldn’t). This was a clear testament to the fact that AB de Villiers was arguably one of the most versatile batsmen of all time. In T20 cricket, he can pull off almost anything. He sits down and laps fast bowlers for six over third man and fine leg. His duels with Dale Steyn in the IPL have been legendary and ABD has come out on top on most of the occasions. In fact, Steyn defined the aura of AB in just one line. AB de Villiers was far more than what the numbers suggest. Stats and numbers tell just one part of the story. He might have over 20,000 international runs, 47 international hundreds and an average in excess of 50 in Test and ODI cricket but it was de Villiers' impact on the game that made the difference. He may not have been the most conventional player and his stroke-making might not have been the most elegant but he had this ability make the world fall in love with the game when he was on the field, especially when he walked out to bat. Even today, however little he plays, the world sits up, takes notice and cherishes the moments they get to see de Villiers in action. He played the Mzansi Premier League and the Bangladesh Premier League recently and looked in great touch. He’s currently playing the PSL. The world and India, in particular, are waiting for the IPL to kick-off to have another glimpse of the South African great. 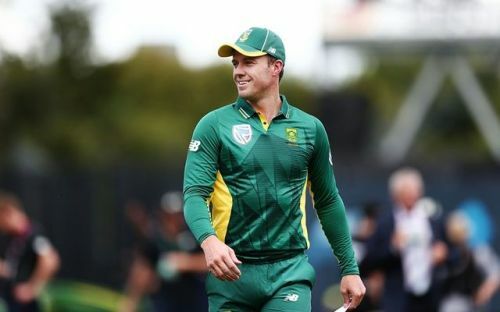 On his 35th birthday, let’s just say “Thank you AB” for the entertainment he's provided for the last 15 years and let’s enjoy and cherish every bit of cricket AB de Villiers plays till he finally hangs up his boots from all forms of cricket. And finally, Happy Birthday AB, go well! We look forward to more superman-esque stuff from you in the near future!